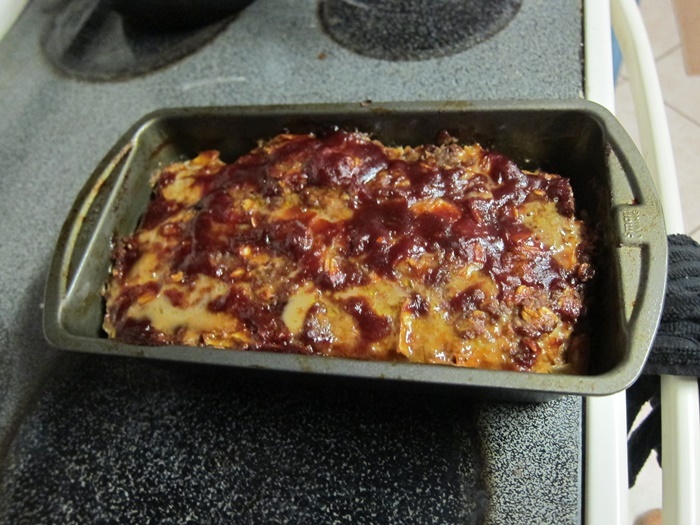 Just a nice, tangy, tasty meatloaf, that uses some of my favorite thing, chiptles in adobo! 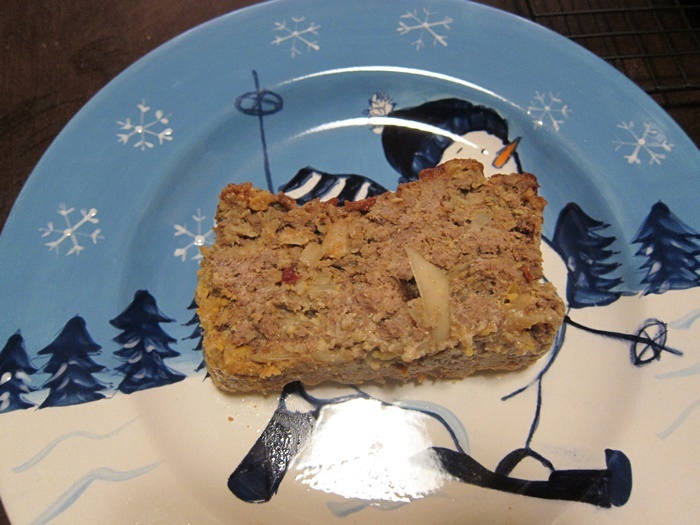 Grease a 9×5″ loaf pan and set aside. Preheat oven to 350 degrees. In a large bowl, beat the eggs until smooth. 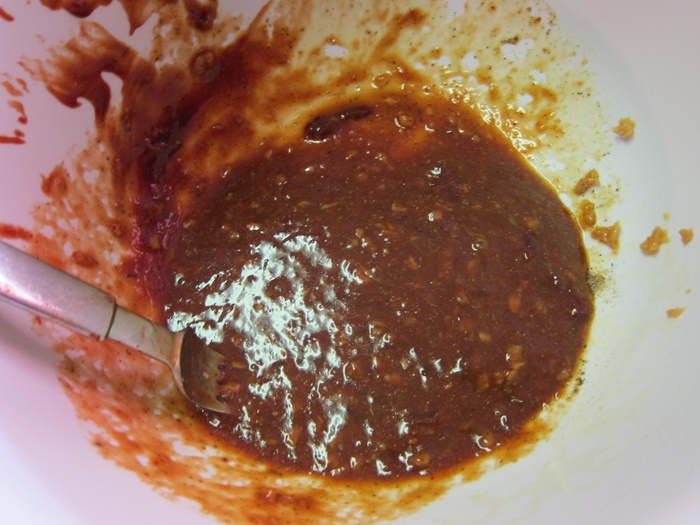 Whisk in 1/3 cup of the bbq sauce, the garlic, chipotles and adobo sauce, the salt, pepper, celery salt, cumin, and Worcestershire sauce. Add the onion, oatmeal, and beef, and mix together with your hands until evenly mixed. Transfer to the greased pan, and press firmly. Brush the remaining 2 tablespoons of bbq sauce over the top. Bake 1 hour, or until cooked all the way through. 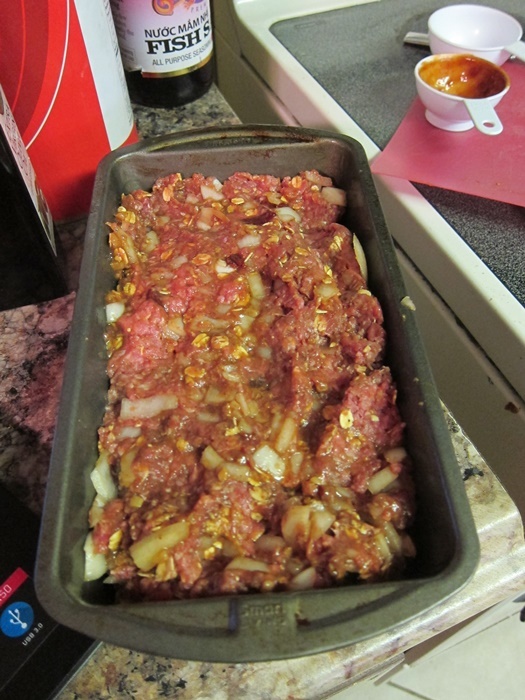 Add the onion, oatmeal, and beef, and mix together with your hands until evenly mixed. Transfer to the greased pan, and press firmly.Brush the remaining 2 tablespoons of bbq sauce over the top. Bake 1 hour, or until cooked all the way through. Serve with additional bbq sauce. 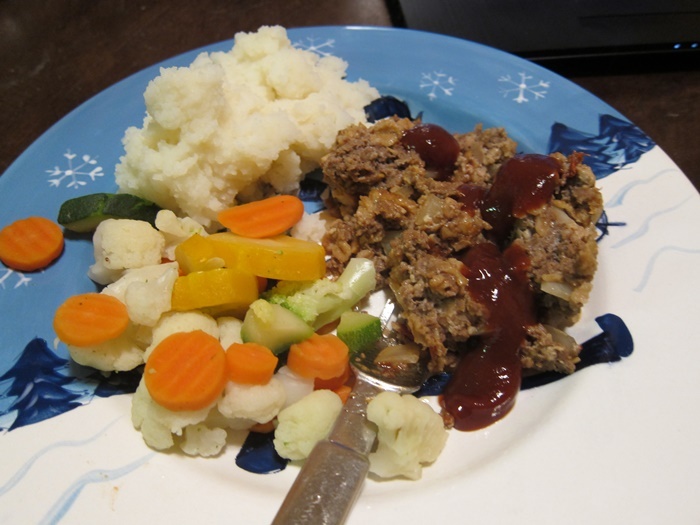 This entry was posted in Dinner and tagged bbq sauce, chipotles in adobo, meatloaf. Bookmark the permalink. Your meatloaf has arms! I love the snowman plate.